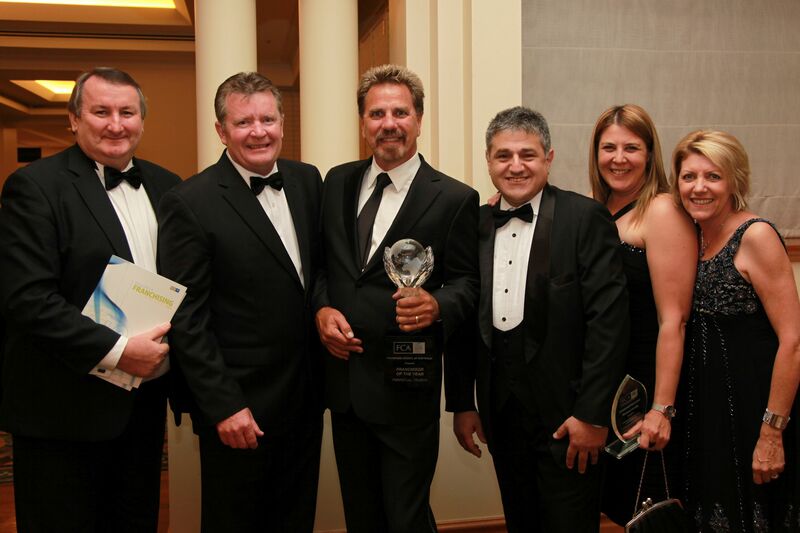 Last year, our client Mr Rental won the title of ‘Franchisor of the Year’ at the 2010 FCA (Franchise Council of Australia) Excellence in Franchising Awards. The PR potential from winning an award is huge and in light of the FCA awards that happened this week, we thought we’d share some advice on why you should be thinking about entering your company in business awards, and provide tips on how to prepare a good award submission. Why would my company want to win a business award? What are the benefits? We always encourage clients to enter business awards because of the opportunity they have to receive great recognition. It gives you fantastic PR and media opportunities both within your respective industry and through broader media channels, which allows you to reach a wider audience. Business awards highlight industry leaders, reveal innovative processes and products and ultimately attract new clients and customers to your business. An award win also boosts company morale and attracts top talent. Where do I find awards opportunities? The nature of your business will determine the categories and types of awards you should be entering. Your industry’s governing body is usually a good place to start for industry specific awards. Some major national business awards we encourage our clients to enter each year are BRW Fast Franchises, BRW ANZ Private Business Awards, Premier’s Sustainability Awards (VIC), Westpac New Zealand Franchise Awards and the FCA Excellence in Franchising Awards. Businesses can also find awards at a local level through council websites and the local chamber of commerce. 1. Read and understand award criteria. Criteria are a guideline to help you structure your award submission and a standard by which judges compare different entries. It is therefore crucial to understand them. Different sections are usually weighted differently and it is important to understand the areas requiring greater attention. Information seminars are often held to explain the marking criteria and offer tips and advice on completing the award. Understanding the criteria and submission requirements as soon as possible will ensure you have ample time to manage its completion. 2. Prepare brief responses to award questions. Once you are familiar with the criteria, go through the questions and requirements and jot down brief answers ensuring you address key points of the question reflecting your company’s key strengths and points of difference. After this, you should have a good understanding of the layout of your submission and what supporting information will be required. 3. Prepare supporting information. Anything you mention in your submission about company performance should be supported with evidence where possible. Things like sales performance, customer growth, brand awareness etc should all be supported with graphs and figures. This section usually calls upon specialties of other team members (ie operations, marketing) so it is important the award writer gives them enough time to gather such information. 4. Begin writing draft submission. Now that you have good outline of what you will write and supporting information on its way it’s time to start fleshing out the first draft of your award submission. Address each point of the question in limited detail without waffling on or exceeding word limit. Always remember the weight each question or section bears in relation to the overall criteria. Leave all references to supporting information as “Appendix blank” as this is something likely to change before the final version. Make sure the key information is included in the answer and the award reader doesn’t have to refer to an appendix for this. 5. Editing. Make sure the wording used in your submission is consistent, flows nicely and is easy for the reader to understand. Check for word economy and where sentences can be shortened. Ensure word limit isn’t exceeded for each section responses address questions properly. You can now reference any responses requiring supporting information ensuring all graphs, statistics etc are labelled and clear. Again, ensure your company’s strengths and points of difference are still highlighted as sometimes they can be lost in editing. Ensure anyone who has contributed information to the submission is satisfied it has been used accurately. Hand the submission over to a colleague to proof read before sending it to your General Manager or CEO to ensure it is aligned with the company’s overall mission and objectives. 6. Design, formatting and submission. When your submission is ready to be designed to your company’s branding standards, ensure it reflects the award’s formatting requirements. Make sure all graphs and appendices are displayed correctly as sometimes this changes when reformatted. Ensure all required documents like criteria sheet or front page are included. Give the award one final proof before printing, binding and submitting via the correct methods. The more time you put into an award submission, the better it will be. Leaving an award until the last minute will mean you’re not giving it its full potential to reflect your organisation. Using each team member to provide information on their function allows the true strengths of your business to be known. Keep an eye out for upcoming award opportunities as it might just be your time to shine.